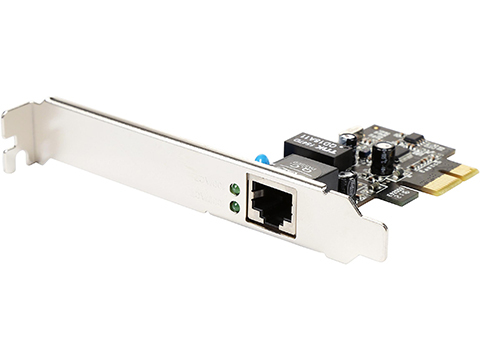 The Rosewill RC-411 is an adapter to convert your PCI-Express interface into a 10/100/1000 Mbps RJ45 connector. It’s designed to meet PCI Express Base Specification Revision 1.0a. And, the single-lane PCI-Express throughput supports rates of 2.5 Gbps. It features full duplex mode that doubles the network connection speed, while supporting automatic MDI / MDIX crossover at all speed, providing you with a blazing-fast, reliable network connectivity. The built-in LED lights indicate the status of data transmission. Plus, it supports Windows 2000 & XP, and offers plug-n-play support for Win7 and Win8 (32-/ 64-bit), Server 2003 and Vista operating system.